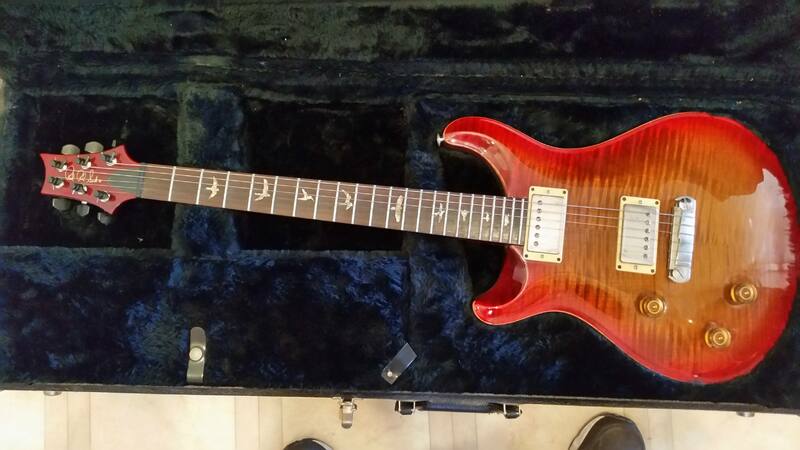 Help needed - is this a real 1999 10 Top 22 Custom ? Discussion in 'Electric Instruments' started by nik62es, Feb 13, 2018. It looks legit to me. 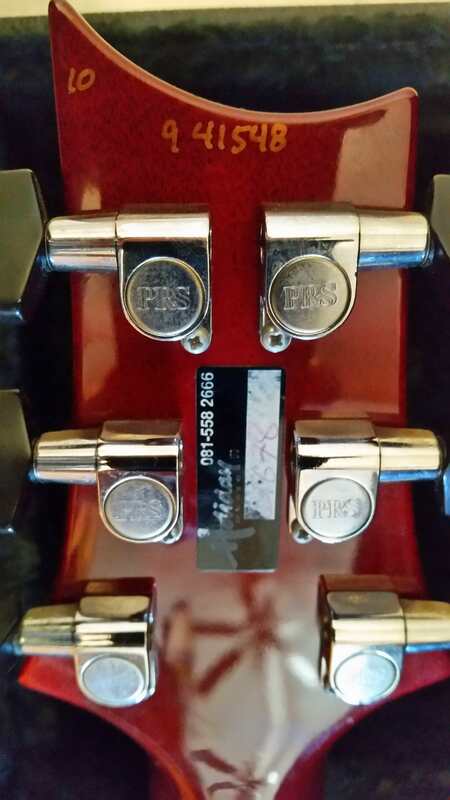 Not crazy about the sticker on the back of the headstock though. It looks legit to me. Thanks AP515..must be paranoia setting in...letters 1,4,5 and 9 have a starting point that seems to vary from others I saw on the web (there is a dot type start to drawing the numbers which I didn't see elsewhere), the 0 seems to starts differently as well, although not at the bottom of the number like the others...the first number 4 also has the horizontal bar crossing over the vertical one. The sticker says Holiday Music (with phone #) - # 14648?? ..not sure where that phone number is from...081 is the country code for Japan..there is even a district with 558 as an areal code, albeit with no music shops... the serial number is weird as well. You are right, that doesn't look too promising on there, unless it is a repair number , and even then it wouldn't have been put quite as prominently..
dogrocketp and nik62es like this. my apologies, garrett, photobucket wants me to do some hosting plan..and when I tried to upload from Google, the system here doesn't let me..I guess because I haven't done three previous posts...will try and get around it now. Yeah, they won't load. I right clicked and opened them in a new tab so I could see them. I included a link now in the original post ...at least it shows the headstock with the details..
Oh yeah, that's legit. I've seen far sloppier serial numbers. Yep. I'd bet the sticker is some type of inventory tag, or something along those lines. There is plenty of variation. This one is good - not that many lefties in those days.